Steve Forde. Photo used with permission from Adobe. In a post Final Cut Pro 7 world, video editors are concerned about the integrity and longevity of their editing software. Like modern rock n’ roll, technology is making it easy for post-production software manufacturers to “sell out” by prioritizing consumer accessibility over professional functionality. In the wake of the Creative Cloud 2017 release, Adobe’s Steve Forde assures Premiere Pro CC users that Adobe is steadfastly sold out for video professionals. This interview took place on Day 3 of Adobe Video World 2016, also known as “Adobe Day” because the entire day is hosted by Adobe product managers, designers and engineers. In a closing keynote titled “A Look to the Future”, Steve Forde shared Adobe’s vision for Premiere Pro CC, and its integration with other Creative Cloud video and audio tools. The content of his presentation was under NDA, but here’s a spoiler summary anyway: there won’t be an “Adobe Premiere Pro X” anytime soon. That’s because Adobe is committed to video professionals; they are the lifeblood of Adobe’s innovation and prioritization. Steve Forde is the Group Product Manager - Products, Professional Video and Audio. [My job is] Painting the strategy of what we're doing and what we're trying to accomplish as a business. Steve is on a team of three people who oversee Adobe’s video products, services and partners. Steve is responsible for products, which means all of the Creative Cloud video applications. It’s up to Steve and his team of product managers to anticipate video industry trends, and make sure Adobe’s video tools remain innovative. In technology especially it’s innovate or die. And even though we've got a very solid foundation in terms of the numbers of customers that use our products, and the multiple industries that were in… technology changes. 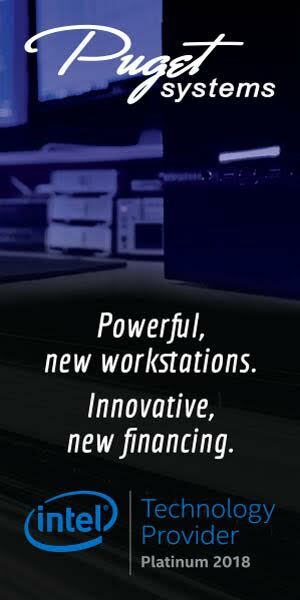 Speaking of changes in technology, this year is the 25th anniversary of Adobe Premiere Pro. The 25th anniversary of Adobe Premiere Pro. Photo by Sean Schools. Adobe Premiere Pro Sr. Product Manager, Al Mooney, kicked off Adobe Day with a celebratory keynote that recapped the milestones of Adobe Premiere Pro, including something very important that happened back in 2011: Final Cut Pro X. "In 2011, something amazing happened to Premiere Pro... FCP X." —Al Monney. Photo by Sean Schools. The fact of the matter is, the release of Final Cut Pro X, and the proceeding fallout of its professional user base, had a significant positive impact on Adobe Premiere Pro. Adobe was able to capitalize on Apple’s redirection because they were already positioning Adobe Premiere Pro to be the dominant editor. We decided back in 2010 that we were going to eat Final Cut Pro’s lunch; we wanted to be the number-one nonlinear editor on the planet. That's what we had to do. If we were going to be viable as a business, we had to do that. Leapfrogging Final Cut Pro was just one example of a bigger innovative game plan for Adobe Premiere Pro. Another example was having “format-agnostic” editing capability. The ability to natively edit any camera format in a timeline is a deciding factor for many filmmakers to cut in Premiere Pro CC. This innovative feature, and many others like it in Premiere Pro, is governed by one thing that Adobe does very well: prioritization. My job is to basically say, “Okay, if that's the goal, how do we get there?” My team and I have to decide, out of all the fifty thousand things we could do to get there, which one do we do first? Which one can we not fail on? Every company has to be innovative with its products without alienating existing or potential customers. Premiere Pro CC successfully balances this dichotomy because Adobe doesn’t view its professional and consumer users as an either/or scenario. Instead, Adobe views them as connected with the investments made in the professional market benefitting all their customers. The consumer audience is bigger than the pro audience, but what if we make a connection between the two? What if we make it so it’s a symbiotic relationship? Can we invest in the technology so that we can use it in different models? That's how we balance the two. Adobe’s innovation pipeline acts like a reverse funnel with the most concentrated investment in the professional user market. That said, video professionals do not make up the majority of Adobe customers; plus they have higher demands, and require more service. So why care so deeply about video professionals? Those folks at the pro level who need that technical specificity, they're pushing our technology in ways we never think of. Then they go and tell other people that they did it. And then they create that aspirational pull. That's why the professional market is our core; it's the foundation of what we do. Adobe recognizes that video professionals are the life-force of innovation. Not to mention, the secondary benefit Adobe reaps from investing in the professional market is those pro users become Adobe’s most effective evangelists. In a real-world example, Steve described how improvements to Dynamic Link were the result of Adobe working with David Fincher on Gone Girl. First, we looked at the architecture of Dynamic Link and saw it wasn’t working. So we redid a lot of Dynamic Link just to support [Fincher’s] workflow. "Working with the Adobe engineers was probably the best development experience I’ve ever had." —Tyler Nelson, Assistant Editor. Read more. Premiere Pro CC users have David Fincher to thank for much of Dynamic Link. Talk about aspirational pull! But it gets even better. We knew we wanted to do this Live Text Templates thing, which David Fincher didn't want, but the foundation of what he asked us for was actually the same foundation as that. They both required editorial real-time playback. The Adobe Premiere Pro team recognized the core of David Fincher’s Dynamic Link workflow could be applied to Live Text Templates. They designed the technology behind Dynamic Link so it could be used in multiple contexts. The symbiotic relationship Adobe maintains between professional and consumer markets is the crux of Adobe’s innovation and prioritization. Regardless of what Premiere Pro CC looks like in the next twenty-five years, we know that it will be the product of Adobe’s loyalty to video professionals. This commitment is the key to Adobe continuing to deliver the greatest value to all their customers. That's why we're not going away anytime soon. The pro market sets the standard of what our technology has to do. Thanks for reading! What's your reaction to Steve Forde's statements on Adobe's innovation and prioritization? Do you have an opinion on the future of Premiere Pro CC? Share it in the comments below. If you enjoyed the post, please share it!